Despite all my medical knowledge, I felt overwhelmed as a parent in the NICU with a child who had a stroke, and I could not imagine what it must be like for someone without my background! Thankfully, I realized I was overwhelmed and would quickly forget important information, so I started keeping detailed notes early. I did not understand it at the time, but anyone with a medically complex child will become the person who ultimately coordinates all of that child's health care, and consistently keeping notes makes that job much easier. During my first meeting with new families, I also make sure to explain what I do and how it fits in with their other providers. Specifically, as a neuropsychologist, I assess a child’s development, thinking ability, and behavior, and I describe how those areas are affected by his or her medical history. My personal experience taught me that patients do not always know what kind of doctor I am or even why they have been referred to me. In addition, remembering how I felt, I try to be thorough without overwhelming my patients. I also assure them that it is normal to feel overwhelmed, especially soon after receiving a diagnosis, and let them know that I will be available for more clarification later, if needed. While I knew more about all of the severe potential outcomes than most other parents, my professional background did provide me with the advantage of being able to escape my own emotions for at least brief periods of time. In medicine, especially when working with children, you cannot help but experience some emotion. However, using your best clinical judgment means that you must learn to focus on objective information without allowing yourself to become blinded by your own feelings. Although I could only manage it for brief periods of time, imagining this child as my patient instead of my son enabled me to think more clearly when my emotions became too intense. 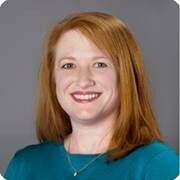 Carla Hearl Morton, Ph.D., is a pediatric neuropsychologist at Cook Children's. She is a licensed psychologist with expertise in how learning and behavior are connected to the development of a child's brain structures and systems. At Cook Children's, neuropsychologists work closely with a team of neurologists and neurosurgeons to provide the best treatments and interventions that meet the individual needs of each child. how often and are likely is this to happen to a child at birth?